An information technologist with global experience in designing, deploying and managing new product launches and unique technology solutions across multiple industries and market segments. Success across domestic and international hardware and software sales, services, and operations, inclusive of product design, business development, sales and new routes to market. Currently, Microsoft General Manager IoT Device Experiences. The Internet of Things (IoT) Device Experience Team is responsible for the global relationship management and sales performance of more than 8,000 OEMs that are designing and selling many of the most exciting and widely used devices such as Point of Sale, Self Service Kiosks, Digital Signage, ATMs, GPS/PNDs, Industrial PCs and even wearable and other emerging IoT device categories. Sales ecosystem includes silicon providers, ODM’s, value-added resellers, system integrators, independent service vendors, service providers as well as OEMs. Our mission is to accelerate and scale repeatable device-to-cloud solutions with device ecosystem partners globally. Previously, CEO at DDNi. A Silicon Valley-based device to cloud platform ecosystem provider for consumer and enterprise computer manufacturers and suppliers. A complete lifecycle management solution that collects and analyzes device data, personalizes a user experience, narrowcasts communication channel and delivers incremental revenue and profit throughout the lifecycle of each device. General Manager at Lenovo Group International. Led the consumer personal computer business. Launched Lenovo’s first ever consumer products and services into North America and implemented a new supply chain model for selected retailers and distributors. IBM Director of Technology Group. Led sales, development, product design and marketing teams on new generation hard drive designs. Launched the world's smallest removable hard drive. Created a global consumer brand strategy, product development, retail routes to market and service and support. A graduate of UCLA in Economics and Political Science. A guest instructor at California State University in Information Technology. An avid reader, traveler, skier, cyclist, sports enthusiast and all things Bruin. Resides in Bellevue, WA and San Francisco, CA with his wife and children. Josh Nash is a Principal Product Planner on the Azure Sphere engineering team at Microsoft. In his role, he is responsible for representing the product team in customer engagements as well as communicating priorities of new customer requirements to engineering. 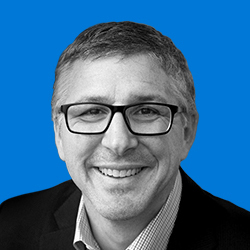 In previous roles at Microsoft, Nash was Director of Escalations & Resolutions for the Cloud + Enterprise business, Chief of Staff and Strategy to the Chairman of Emerging Markets and a Product Manager in the Windows Emerging Business Unit. He has served in leadership roles at Calgary Scientific Inc. and Intellectual Ventures and began his career as a Consultant at Accenture. Nash holds a BA from Columbia University as well as an MBA with distinction from Northwestern University’s Kellogg School of Management. 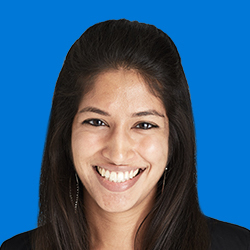 Aditi Dugar is a Product Manager on the Azure IoT Solutions team at Microsoft. She is specifically focused on developing IoT solutions for the Healthcare industry. Aditi’s previous experience at Microsoft includes working in the Developer Division on the .NET team, where she was focused on bringing machine learning capabilities to .NET developers through ML.NET and enabling WinForms desktop developers. Prior to Microsoft, she also worked at Procter & Gamble focusing on machine design and product design. Aditi holds a BS in Mechanical Engineering from Cornell University as well as an MBA from The Wharton School, University of Pennsylvania. Peter Hoffmeister is the Sr. Director of the IoT Ecosystem Technical Sales team within the Microsoft Partner Devices & Solutions organization. This mission of this worldwide team is to help Microsoft’s partners accelerate their digital transformation by helping them deliver repeatable edge-to-action IoT solutions rapidly to market and at scale. Peter has been with Microsoft since 2007, largely in technical sales roles supporting a variety of partner ecosystems including local PC system builders and large multi-national OEM partners. He has more than 25 years of experience across the manufacturing, PC and telecommunications industries with roles ranging from product design, program management, and engineering to product marketing. Peter received his BS in Electrical Engineering from Gonzaga University and MBA from the University of Washington. Analisa leads the marketing for Intelligent Edge solutions and is focused on how Microsoft can go to market with our partners. Across the portfolio of Intelligent Edge solutions, Analisa is responsible for the solutions value proposition, global marketing strategy, and supporting partner co-sell motions. She also works in partnership with product marketing, engineering and sales to provide training, resources and programs to reduce barriers, foster beneficial relationships and enable partners to confidently bring Intelligent Edge solutions to market. Ben has been with Insight Digital Innovation for two years and is responsible for managing architects and developers as well as ensuring project delivery. He has been building with IoT solutions for a number of years in areas like industrial, residential, agriculture and heavy machinery. He has been writing software in .NET to solve business problems by introducing automation and building robust, cloud-based applications. He has worked in many industries including service-based organizations, lecture capture software, and commercial insurance. His passion is to be able to deliver value to his customers as well as building solutions where scaling and performance are part of the design from the first line of code to go-live. How do you accelerate IoT and optimize opportunities to grow revenue and profitability? Success in IoT requires a mindset in innovation, in business model and in partnership. Michael Kuptz will share how Microsoft is enabling partners across the IoT value chain to design, build and scale repeatable IoT solutions from edge to cloud. Use our online Matchmaking Tool to meet partners and customers who are looking for new partnership opportunities to design, build and deploy new IoT solutions. Enter your email to have your stored information sent to you. The email will contain a link to request that your information be deleted. Your info has been emailed to you.